• Additional bonuses are available while one of three Tactical Destroyer Modes are active. Modes may be switched no more than once every 10 seconds. The Confessor is the Amarrian Tactical Destroyer, and was released in the Rhea expansion (Dec 2014). It is bonused for Small Energy Turrets and has become a popular solo ship in lowsec. Following the Tech 3 paradigm, Tactical Destroyers are flexible ships, and clever switching between their three modes allows the user to get the most out of these ships. Combined bonuses on the Confessor give it a firepower equivalent of 8 turrets with an impressive range selection using Sharpshooter mode. The Confessor's slot layout greatly favours Armor tanking, which can be further improved using the ship's Defense mode. 1MN and 5MN Confessors are viable, even though the ship really shines if fitted with a 10MN Afterburner. This requires compromises in fitting, but brings benefits such as very high speed, relatively good agility thanks to the bonus of Propulsion mode and a small signature radius. Gunnery, armor and navigation support skills should all be at least 4 before taking out a solo Confessor. You should also be able to mount a T2 armor tank and use T2 turrets. 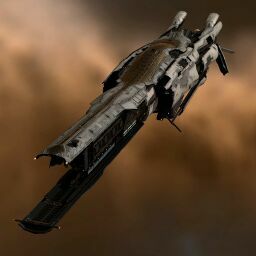 Confessors are generally used in PvP role, providing DPS in Small to Medium sized fleets or soloing in hostile spaces. ALthough very uncommon, Confessor has a very niche role of running high-class wormhole combat sites with Wolf Rayet effects. Due to Wolf Rayet's armor and small sized weapon bonus, a group of Confessors and a few Remote Repping cruisers(often Augoror or Guardian) can even run C5 or C6 classed Combat sites. However this is very skill-demanding and requires careful planning an expert piloting skills. The Confessor was released in December 2014 in the Rhea patch. The Tech 3 destroyers were given staggered releases from December 2014 to July 2015, with the order determined by players donating items to Empire NPCs. The Amarr received the most donations, and had their Tech 3 destroyer released first. This page was last modified on 4 September 2017, at 20:15. This page has been accessed 161,581 times.